Perrier-Jouët is a Champagne House founded in 1811 by Pierre Perrier and his wife Adèle Jouët. Over several decades, with discernment, and exceptional vineyard was established onßthe Champagne best terroirs of Ay, Mailly-Champagne, Avize and Cramant. The excellence of raw materials has always been paramount, with particular attention paid to terroirsßof chardonnays that give this house's wines the desired character: a floral blend, refined and subtle. 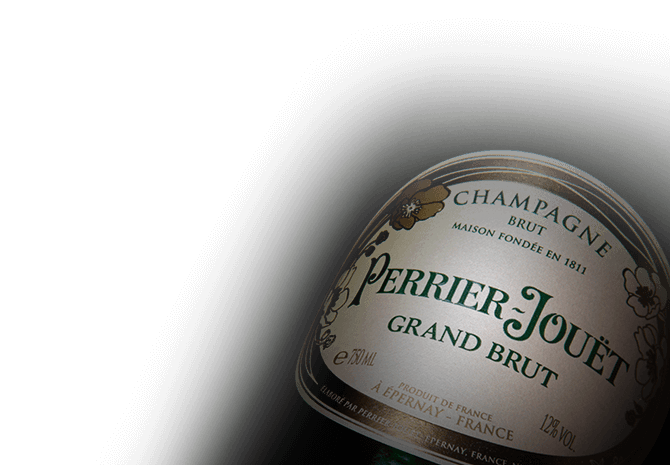 Perrier-Jouët is since 1861 the Champagne appointed by Queen Victoria, then by the French imperial court. In 1959, GH Mumm, a Champagne Company acquired the Maison Perrier-Jouët. THe prestige cuvée "Belle Epoque" and its bottle designed by Emile Gallé was launched in 1969 and marks a historic turning point for the brand.